Rob was interviewed by The Telegraph recently. Grab yourself a cuppa, get comfy and have a read below. Robert Pattinson was recently required to film in New York. More specifically, he had to act the part of a criminal narcissist, on the run from the law with his mentally disabled brother after a failed bank robbery on the streets of Harlem. It posed some practical challenges, not least because Pattinson has one of the most recognisable faces in show business. The movie in question was Good Time and its directors, Josh and Benny Safdie, are known for their gritty social realism, so the shoots were often clandestine, set against a busy urban backdrop, and Pattinson’s primary concern while filming was that he would be spotted and attract a crowd. He spent a lot of time ‘trying not to think about being famous. I was constantly worried.’ But trying not to be famous is tricky when you’re Robert Pattinson. The Twilight movies, in which he played a chisel-featured teenage vampire locked in a hopeless love affair opposite his then real-life girlfriend, Kristen Stewart, catapulted him into the realms of teen heart-throb megastardom in his early 20s. Vanity Fair named him ‘The Most Handsome Man in the World’ in 2009 and Barbie produced a doll with his features painstakingly rendered in plastic. ‘Looks just like the dazzlingly beautiful vampire Edward Cullen,’ the packaging claimed. Pattinson describes being recognised while filming as an accumulation of small but significant moments that lead to a great conflagration: an initial spark that lights the keg of gunpowder. Despite the constant pressure that lurked in the back of his mind throughout filming, in Good Time Pattinson delivers a formidable performance. His character is a frenetic but charming con artist called, helpfully, Connie. Pattinson is so convincing that at first I didn’t even click when I saw him on screen. ‘Who is this charismatic American actor?’ I thought, until the penny slowly dropped around 10 minutes in. When it was screened at the Cannes Film Festival, it got a six-minute standing ovation. It has already been compared to the work of Martin Scorsese and the New Yorker called it ‘exemplary and brilliant’. It’s an intriguing choice for Pattinson because at the film’s heart is a man who creates his own narrative and chooses to believe in it. Essentially, Connie disappears into a fiction he has invented. In preparation for his role, Pattinson spent two months in Queens before filming started. He befriended ex-convicts and spoke to correction officers in local prisons, where he would arrive in character and try to blend in. There’s a sense in which this mirrors Pattinson’s own off-screen trajectory. As an actor, he has made a series of deliberately interesting choices since Twilight, opting to work on projects that will allow him to ditch the tag of superficial celebrity. Unlike many of his contemporaries, he has successfully resisted the lure of lucrative superhero movies or comic-book franchises. For the past five years, Pattinson has instead been steadily building up a body of critically acclaimed work: from David Cronenberg’s Cosmopolis in 2012 to Werner Herzog’s Queen of the Desert alongside Nicole Kidman in 2015. Last year, he appeared in The Lost City of Z, directed by James Gray. Pattinson grew a heavy beard and shed 35lbs for the role of British explorer Corporal Henry Costin. When we meet in a London hotel, Pattinson is in the middle of filming High Life, the English-language debut of French director Claire Denis, who he has wanted to work with for years, and is finding it a struggle to shift his mindset from filming one movie to promoting another. He repeatedly apologises for being ‘totally spaced out… I’m kind of, like, all over the place’. Normally, when a film star says something like this it stems from an automatic politeness reflex or an attempt at offbeat charm. 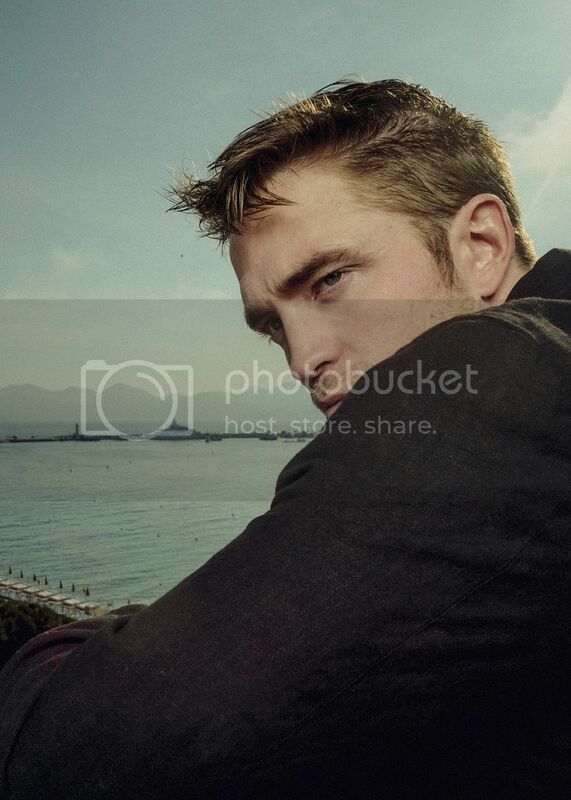 But Pattinson really is exceptionally spaced out. In person, he is about as far-removed from the self-possessed immortal high-school heart-throb of Edward Cullen as it’s possible to be. He is awkward, jittery and given to meandering answers full of ellipses and loop-backs. His hair is close-cropped, revealing a badger-like patch of white on the left, and as he talks, he hunches forward, rubs at his scalp with the palm of his hand and fiddles with the black electronic cigarette on the table in front of him. He seems uneasy in his own skin and several times will be halfway through a reply when he admits he’s forgotten the original question. He says he was wearing denim shorts, which doesn’t sound too embarrassing to me, but maybe at Coachella everything seems out of place unless it’s covered in fringing and ironic slogans. Today, he is wearing a boxy leather jacket, turned-up trousers and trainers, all of which are in shades of black or navy blue. ‘I had to do a photo shoot so I look very, very styled today,’ he says. Pattinson has been playing catch-up with his own reputation for years; he never expected to be a big movie star. He grew up in the south-west London suburb of Barnes. His father dealt in vintage cars and his mother worked for a modelling agency. Pattinson had two older sisters and attended local private day schools. Does he think fame comes with certain mental-health issues? ‘Yes,’ he says, not missing a beat. ‘Definitely. Pretty much every person I know who’s got famous is completely nuts. It’s just isolation and also the repetitiveness of your interactions with people… It’s just weird.’ At the height of his fame and while living in Los Angeles (where he still has a home), Pattinson came up with a complicated system to throw the paparazzi off his scent. Wherever he went, be it a bar or a restaurant, he would take a change of clothes. He would then order several Ubers, swap outfits with one of his friends in the toilets, and send them out into the waiting taxis as decoys. During one period, he had five hire cars parked around the city. Each one had a change of clothes in the boot. If Pattinson was being followed, he’d drive to one of the rental cars, switch vehicles, change outfits and then leave. Is it important to him to be able to disappear? He nods. ‘I try to not be seen whatsoever between movies. So hopefully the only thing that exists of you in the public realm is what you agree to put out there… It’s always just a control thing. If the control of your life has been taken away from you, that’s when you go a little crazy.’ And has he ever gone ‘a little crazy’? ‘I mean, kind of,’ Pattinson admits. He won’t expand, but people who know him say he’s not averse to smoking various substances. It can’t have been easy, then, when in 2012 Pattinson’s off-screen relationship with his co-star Kristen Stewart imploded in spectacularly public fashion after three years together. Stewart had been having an affair with director Rupert Sanders – who was married to British model Liberty Ross – and pictures of the couple embracing were splashed across the media. There was endless coverage and everyone had an opinion, including Donald Trump, who took it upon himself to tweet unsolicited advice: ‘She cheated on him like a dog and will do it again – just watch.’ Pattinson will not discuss any of his past or present relationships (‘I just don’t talk about it,’ he says, shutting down any further conversation). And his reticence becomes more understandable when, in the days after we speak, it’s rumoured that he has split from his fiancée, the singer FKA Twigs. Dealing with all of this in the public eye has triggered episodes of anxiety. ‘I get a lot of anxiety with everything.’ How does it manifest itself? ‘Just kind of paralysis, indecision. You don’t really end up doing a lot.’ He describes acting as a means of escaping the intense thoughts in his own head. ‘One really nice thing about acting is that it’s like a weird therapy exercise. If you’re insecure or shy or something, then you can kind of experiment with expanding your horizons within the framework of a fiction. ‘I get so much anxiety in performance and everyone’s reaction is to say, “Just be yourself!” And myself, in general, is the last person I want to be.’ A few years ago, Pattinson started going to therapy. When he told his parents back in England they were ‘literally horrified. And I was like, “Why is that a bad thing?” There’s just this weird stigma. It’s so strange… But I think it’s a sort of throwback attitude. ‘I don’t go that often. I just really like her [his therapist]… You’re just trying to figure out how you feel about something. I’ve got a lot out of it… I mean [without therapy], I don’t know how you’re supposed to do…’ He sinks into a lengthy pause. Life, I suggest? ‘Life,’ he agrees and he looks down at the floor and then back up at me and smiles. Robert Pattinson is not what I expected. From the outside, his existence looks charmed. Yet behind those perfect looks, his head is a bubbling cauldron of anxiety, self-doubt and unanswered questions about life. It makes him interesting to talk to. It’s possible it even makes him a great actor. But above all, it makes him less teen vampire, and ineffably, undeniably more human.